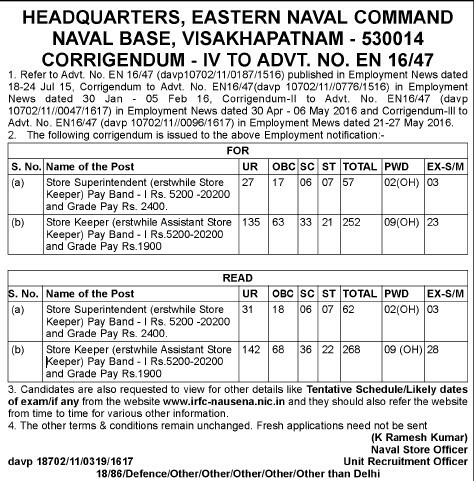 Application are invited to join Eastern Naval Command Naval Base, Visakhapatnam . The following corrigendum is issued to the above Employment noticre. from time to time for various other information.